Beautifully appointed in Dubai’s most vibrant outdoor destination, Marina Byblos Hotel is a superb choice for leisure and business travellers. 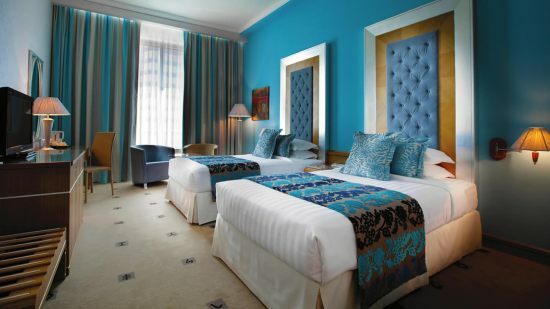 The stylish rooms and suites offer a comfortable sanctuary to rest in, away from the excitement of the city outside. Luxurious furnishings are perfectly complemented by high quality amenities allowing you to fully relax during your stay. 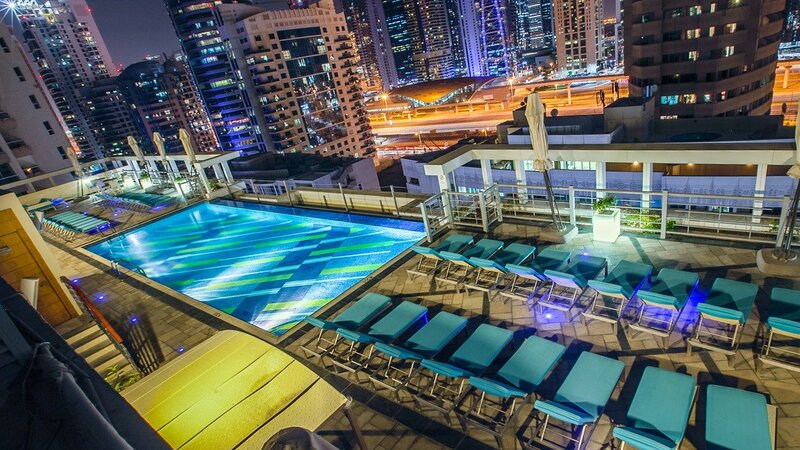 Enjoy cocktails by the pool, while drinking in stunning views of the city skyline. With Dubai Marina on your doorstep, you’ll have easy access to many of the top attractions of this larger than life metropolis. There’s an excellent selection of restaurants, bars and nightclubs inside the hotel as well as in the nearby area so you can taste exquisite fine dining before partying into the early hours. Relax and recuperate in the resort spa, where you can indulge in a fabulous Thai massage treatment, before heading to the beauty salon. If you fancy getting out to explore, the friendly concierge team are available around the clock to help organise tours and transport so you can concentrate on having a great time. With all this and more, Marina Byblos Hotel is set for an unforgettable luxury Dubai holiday. Marina Beach at JBR The Walk is the closest to Marina Byblos Hotel, approximately 750m away. 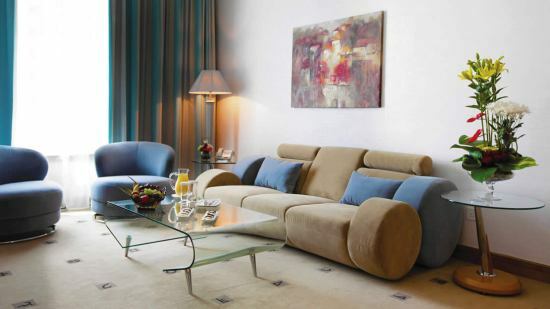 Marina Byblos Hotel boasts a fabulous position close to Dubai Marina Yacht Club. There’s a multitude of cafés and restaurants in this area, along with superb boutique shopping opportunities. Jumeirah Lakes Towers metro station is about a 10-minute walk, giving you easy access to public transport, or taxis are a convenient way to get around. Dubai Mall and the Burj Khalifa are approximately 25km away, and the Emirates Golf Club is just 6km. For some fun family days-out, Legoland and Legoland Water Park are about a 20-minute drive. Dubai International Airport is approximately 35km from Marina Byblos Hotel. Let your taste buds come alive with the exceptional flavours of some of the finest international cuisine. There are several venues to choose from showcasing the best in many regional dishes. Combine this with a fabulous nightclub venue where live band and ballet is performed and the Marina Byblos hits the mark again. Following the theme of an English Sports Pub, this venue televises live sporting events on its big screens along with typical English food. Darts and pool is also on offer. A live band and ballet show in a contemporary setting, Tchaikovsky is a Russian restaurant and nightclub. Cuisine: International buffet or a la carte menu. Fish and chips available on Tuesdays, Thursdays and Fridays. 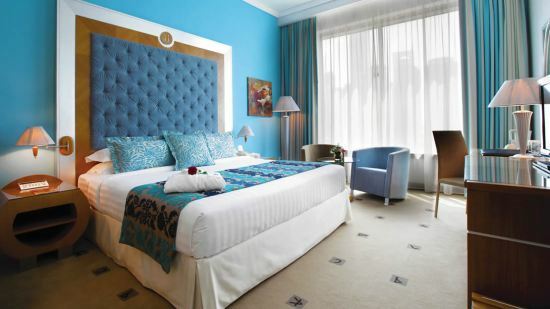 Guests staying at the Marina Byblos Hotel can enjoy Bed and Breakfast, Half Board and Full Board basis options.